Making your own song is not as complicated as it seems! In this Interactive music composition course, Matthias Kadar takes you on a journey through the land of composition, and the rhythm and beauty of words and poems. You will explore creative ways on how to compose your song, how to find and combine melodies and how to play with words. Matthias Kadar is a fun and versatile teacher! Matthias Kadar, composer and singer, is noted for his idiosyncratic musical language and distinct writing style. Kadar studied composition and piano with Christian Lauba in Bordeaux and later with Theo Loevendie at the Amsterdam Conservatory. 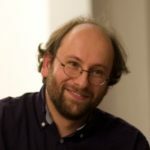 Since his first composition in 1996, he composed about 250 works for solo voice or instrument, ensemble, orchestra and theatre that have been performed worldwide. His collaborations as a composer/ singer have taken him or his compositions to the most prestigious concert halls or festivals in Europe, USA, Australia and Asia. Together with Iván Fischer, he worked for more than a decade on different musical projects.